At the recent “Pumpkin Papers Irregulars” dinner in Washington, D.C., author and commentator M. Stanton Evans joked about his “Law of Inadequate Paranoia,” which says, “No matter how bad you think something is, when you look into it, it is always worse.” The comment generated nervous laughter among a crowd of people concerned about America’s internal security weaknesses and foreign threats. 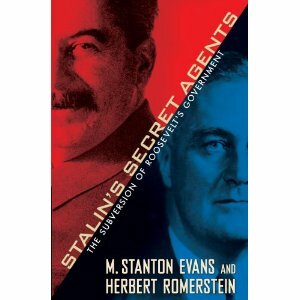 Evans talked about the problem of “literally hundreds of communists and Soviet agents in the U.S. government” during and after the World War II period that he documents in his new book, Stalin’s Secret Agents: The Subversion of Roosevelt’s Government, co-authored with Herbert Romerstein. Some of the more influential communists were Alger Hiss, a top State Department official and founder of the United Nations; Lauchlin Currie, an Administrative Assistant to Franklin Delano Roosevelt; and Harry Dexter White, a Treasury Department official. As members of Congress and a few members of the press attempt to get to the bottom of what happened in Benghazi, Libya, when four Americans were left virtually undefended and killed in a terrorist attack, this book provides important new details in a story of treason that goes back over 50 years and whose death toll can be seen in literally tens of millions of human corpses. This is the death toll of communism. The Evans-Romerstein book deals largely with FDR’s appeasement of the Soviet Union during and after World War II, which led to the rapid expansion of the Soviet empire. It is a reminder of how the U.S Government can be easily infiltrated and its foreign policy manipulated. One reads this excellent book and wonders whether it could all be happening again. It is not paranoia to consider whether history is repeating itself before our eyes in the Middle East as enemies are accommodated and allies betrayed. Their book not only adds important new details of the treason carried out by State Department official Alger Hiss and other high-level Soviet agents in the U.S. Government, but exposes the peculiar mindset that characterized President Franklin Roosevelt’s post-World War II deliberations. In an extraordinary revelation, Evans and Romerstein quote from a document, which they republish in their book, that Roosevelt told Stalin that he intended, at an upcoming summit, to offer Saudi Arabia’s King Ibn Saud “the six million Jews in the United States” as a concession. This “astounding comment,” they note, was “edited out of the official record” but survives in the minutes preserved at the Roosevelt Library in Hyde Park, New York, and in the papers of Roosevelt’s Secretary of State, Edward R. Stettinius, Jr. The authors suggest that the comment was deleted from the official record for various reasons, including that the remark would undermine FDR’s liberal reputation or “might be construed as evidence of anti-Semitism” on Roosevelt’s part. Another explanation is that FDR was suffering from a mental disorder that caused him to blurt out impulsive statements. At the time of the Yalta conference, which defined post-World War II Europe and betrayed Eastern European nations to Soviet control, FDR was known to be gravely ill. Stettinius was new to the job, however, and FDR acted as his own secretary of state. One of FDR’s missions was “to get Stalin to agree with the Rooseveltian vision of a peaceable kingdom to come via the United Nations,” a vehicle whose pieces were put in place by the Soviet spy Alger Hiss, the first acting secretary general of the U.N., and which today continues to serve as a check on American power by America’s enemies and adversaries. Flawed from the start, the world organization has functioned as a Communist front and an impediment to freedom and progress in the world. Today, it is also a front for Arab-Muslim interests operating through the Organization of Islamic Cooperation, which wants to outlaw criticism of Islam. Yalta gave rise to the Soviet empire, the betrayal of Free China, and “half a century of Cold War struggle,” Evans and Romerstein note. The rest is history: millions would die in the Soviet Union, China, Korea, Vietnam, Cambodia and Laos, and Communist regimes would take power in Africa and Latin America. On top of what Evans and Romerstein report in their new book about the advance of our enemies, Robert Buchar’s new film, The Collapse of Communism: The Untold Story, argues that the Soviets engineered their own “collapse,” under pressure from the West, in order to fool us into thinking that their ideology and global intentions were dead. We celebrated a victory when the enemy had simply changed its appearance and approach, in order to fight another day and way. Buchar’s film reminds us that the fingerprints of the Soviet Union are all over the Arab/Muslim terrorist groups of today. With President Barack Obama, a student of Communist Party operative Frank Marshall Davis, we have gotten a taste of what the Marxists have intended for us all along. It is a subject that many Republicans and conservative news operations don’t want to talk about. But the evidence of Obama’s involvement in a Communist network that stretches from Hawaii to Chicago and around the world is undeniable. While there is much more to report from the authoritative Evans-Romerstein book, one is struck by the evidence of the official cover-ups that are still underway. Evans and Romerstein not only document how FDR’s controversial comment about American Jews was deleted from the record, they point out that the official State Department compilation of the Yalta papers “omitted or obscured” other essential facts about what had transpired. Evans and Romerstein are two experts on communism who deserve enormous credit for uncovering the facts about the internal subversion which has crippled our nation. At the “Pumpkin Papers Irregulars” dinner in Washington, D.C., Evans noted that the significance of Hiss was not just in his theft of classified information and its turnover to Soviet intelligence operatives such as Whittaker Chambers, but as an agent of influence. Chambers, of course, would defect from the communist cause and expose all of this, ultimately providing absolute proof of Hiss’s treason in the form of the “pumpkin papers” that he had hidden at his Westminster, Maryland farm. These papers, hidden in a hollowed-out pumpkin, were microfilmed documents that Hiss had stolen from the State Department and given to Chambers. 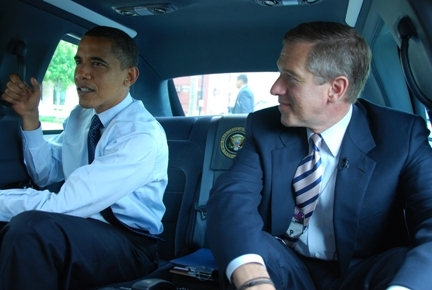 Hiss “was a major influence on policy, and he was a very effective one,” Evans noted. The media, however, have depicted Hiss as a mere “note-taker” who worked in the background of policy discussions. In contrast to the official State Department record of what happened at Yalta, Evans gained access to the Stettinius papers at the University of Virginia which demonstrate the significant role played by Hiss. In addition to finding the reference to FDR offering to give King Saud America’s six million Jews, Evans found several references to Hiss’s role at Yalta, including in helping to shape U.S. policy on China. The papers include notes referring to Stettinius telling historian Walter Johnson on various occasions to consult Hiss about important background and information regarding policy matters. Evans reminded his audience of the fact that Hiss would have escaped prosecution had it not been for Chambers hiding and then producing the “pumpkin papers.” This evidence was used to indict Hiss for perjury for denying he was a Soviet spy. A major cover-up had been going on regarding the involvement of Hiss and other communist agents in Soviet espionage activity. Indeed, Evans, in his remarks and his book, notes that President Harry Truman’s Justice Department convened a grand jury in 1947 to hear communist defector Elizabeth Bentley’s charges of subversion involving some 40 communists and Soviet agents working in the U.S. Government or “global organizations.” The grand jury did not hand down a single indictment, primarily because federal prosecutors refused to call Chambers as a back-up witness. The situation was so twisted, Evans noted, that the Truman White House and Justice Department were considering indicting Chambers, because he had not previous testified completely accurately about the Communist espionage apparatus in government that he had been a part of. Such an indictment would have continued the cover-up of “massive Communist infiltration of the government,” Evans notes in his book, and would have protected Hiss and his network of collaborators. 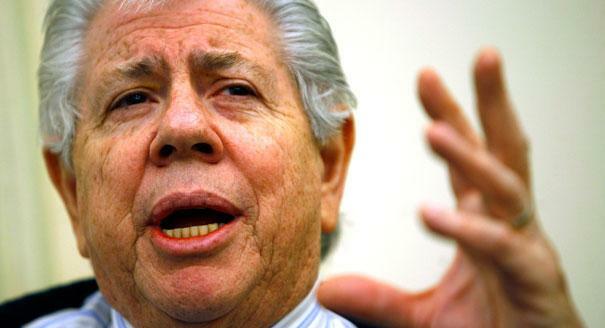 The situation only changed when the House Committee on Un-American Activities opened hearings on the case and Rep. Richard Nixon met with Chambers and persuaded him to produce the additional documents of Hiss’s guilt. The left “never forgave” Nixon for taking Chambers’ side in the Hiss-Chambers struggle, Evans adds. This means, in the current context, that the major media will demonize and try to destroy any member of the U.S. House of Representatives who moves forward aggressively and quickly in regard to President Obama’s Watergate—what is being called “Benghazi-gate”—and attempts to get to the bottom of the treachery before the cover-up intensifies. What remains to be seen is whether what happened in Benghazi was just one element of a policy that is designed to promote the interests of radical Islam throughout the Middle East. The problem for the House is that it lacks what Rep. Nixon had—a congressional committee exclusively devoted to internal security problems or “un-American activities.” All of the internal security committees were abolished by the congressional liberals in the 1970s. This makes the job of exposing treason and its cover-up much more difficult. It is a problem, however, that can be easily rectified by the new House.